Update : Version 1.1.5.0 released ! 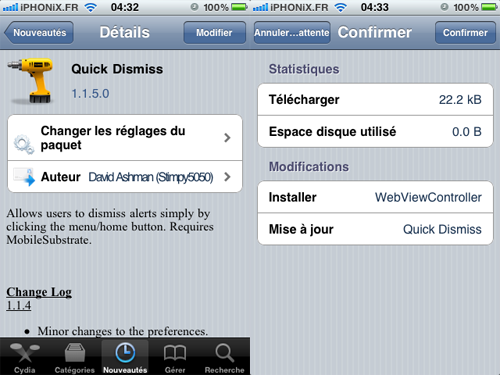 Quick Dismiss is an old tweak from David Ashman available on Cydia updated to support iOS4. This tweak will permit you to close notification popup (close and not block) when you are on the lockscreen without unlocking your iDevice !